Created in Paris in 2002 by Gildas Loaëc, a music producer and Masaya Kuroki, a budding architect the two developed the idea for Maison Kitsuné, a one of a kind brand that fuses their love for French and Japanese styles and combines their love for fashion and music. 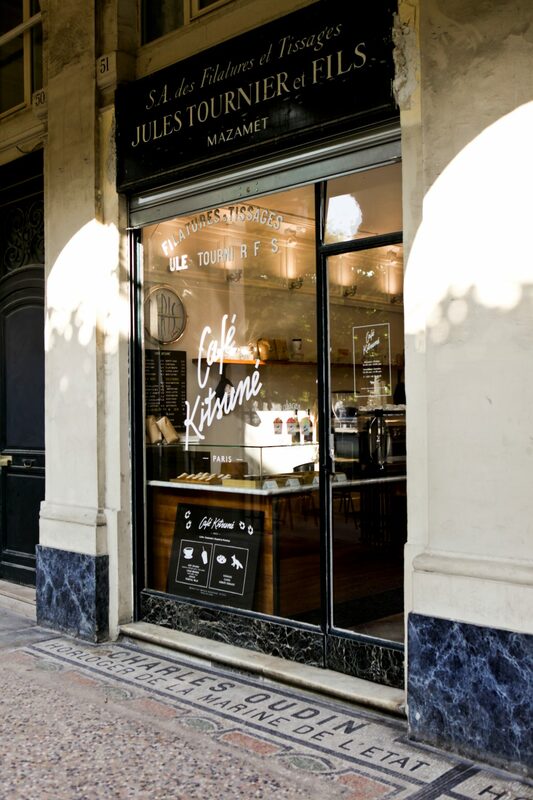 In 2013 however, a new element was added to the lifestyle brand – Café Kitsuné. 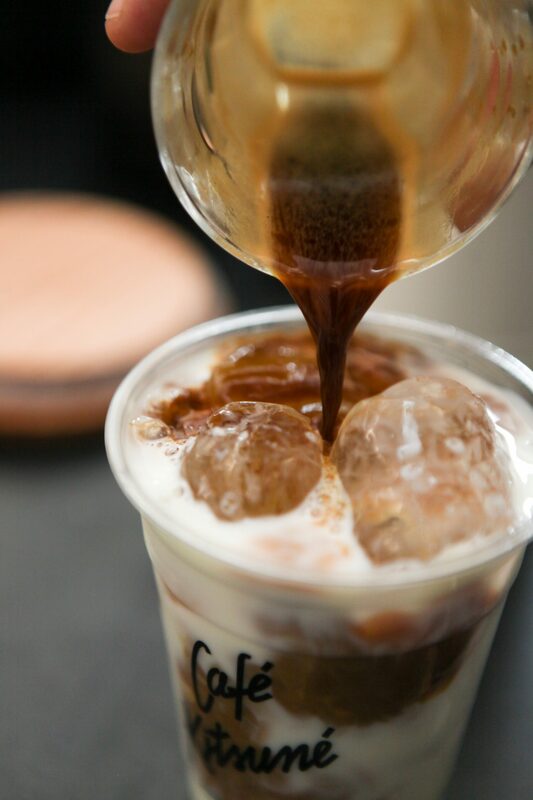 The coffee served at Café Kitsuné is said to be full-bodied and flavoursome with notes of chocolate and grilled hazelnuts and a hint of cherry with a texture that is both smooth and syrupy. Coffee can be enjoyed in situ or as a take-away with the menu featuring everything from a standard cappuccino to a dirty chai and the coffee beans are roasted with the utmost care and are sourced from Guatemala, Africa and South America. 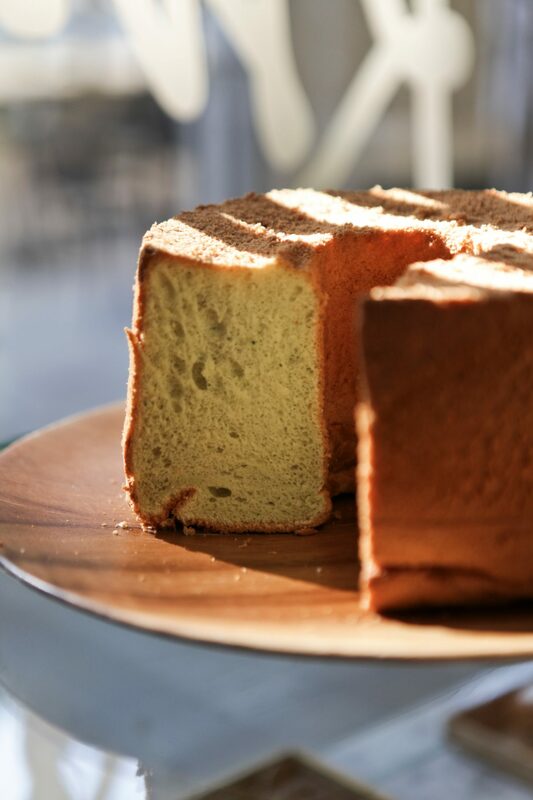 Gildas Loëc and Masaya Kuroki opened the very first Café Kitsuné in 2013 not far from Omotesando in the Aoyama district of Tokyo, Japan. 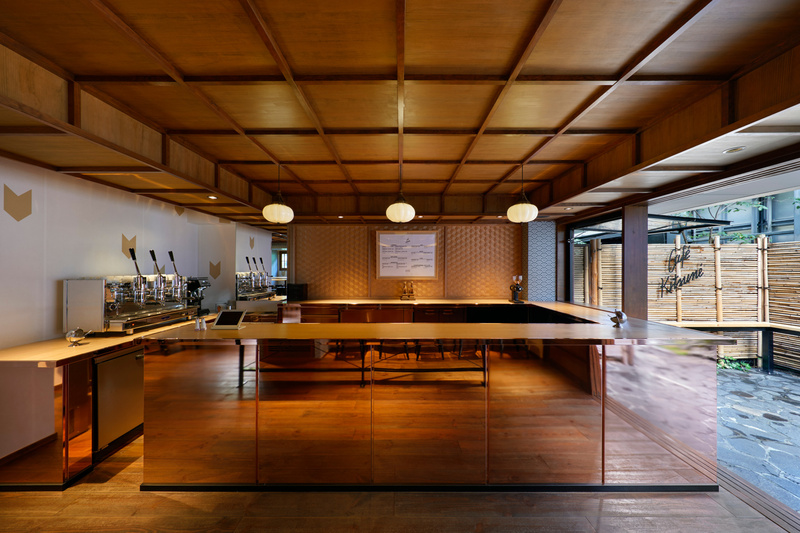 Outside the alley is lined with bamboo and covered with stones in an irregular checkerboard welcomes customers and the interior space was conceived to be calm, enveloping guests in a welcoming ambience to enjoy their perfect cup of coffee in. 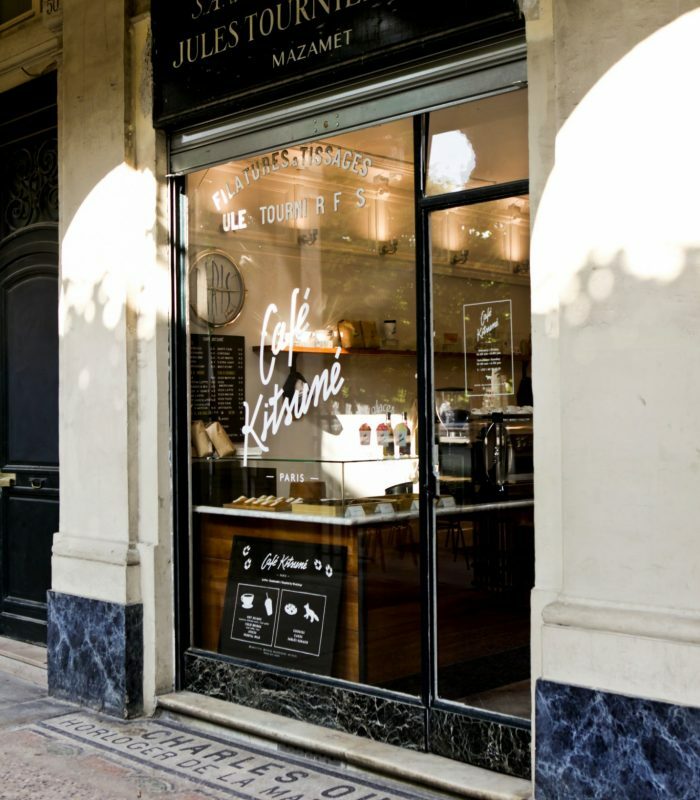 Café Kitsuné Pars is tucked away in the garden of Palais Royal. Opening its doors in 2014 the intimate venue is privileged with a view of the gardens and galleries that surround it and as spring arrives the terrace is the ideal place to sit and enjoy the sunshine with a sweet treat. 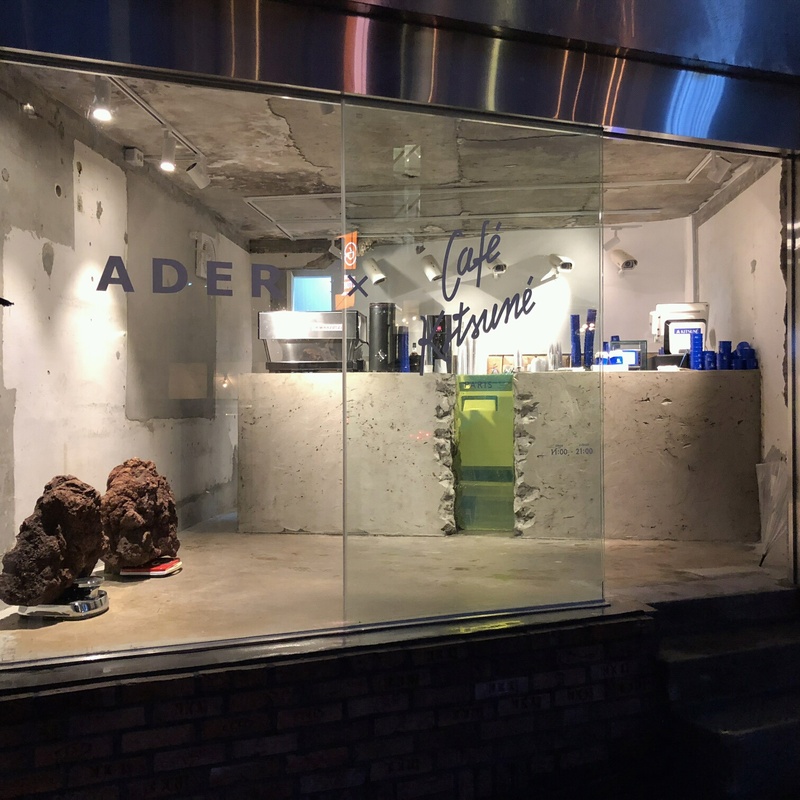 In April 2018 Café Kitsuné and Ader Error (ADER – which means Aesthetic drawing + er People and ERROR – a failure or mistake reinterprets things that people might easily miss), opened an innovative pop-up cafe in Seoul, South Korea that celebrates the unique style of both brands. Ader was created in December 2014 by a community of people from diverse fields and backgrounds to create a brand based on fashion, simplicity and expressing contemporary sensibility. Kitsuné quite literally means ‘fox’, an animal synonymous with Japanese folklore, and has become the well known symbol of the cafe and trademark biscuit. 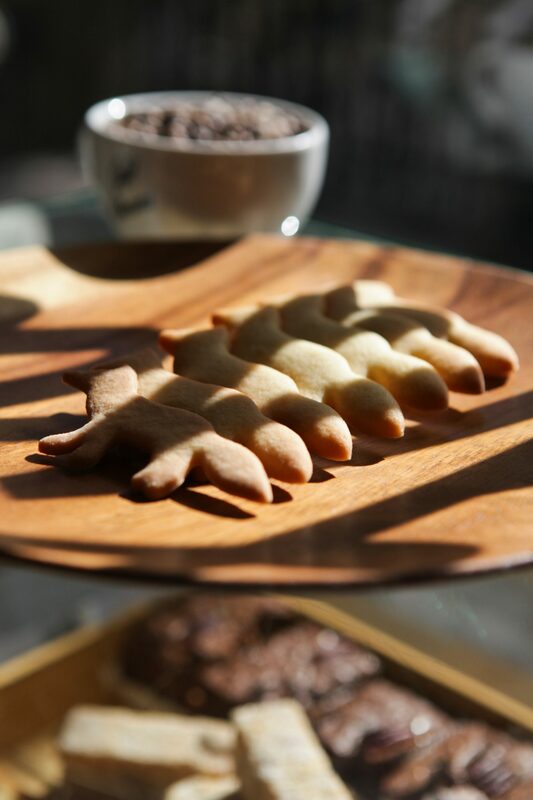 Loyal to its origins Café Kitsuné serves these fox shaped shortbreads as well as a delightfully delicious pistachio Chiffon cake – a light and spongy cake adored by the Japanese. However there are savoury quick bites to choose from too if cake and shortbread doesn’t tempt you. 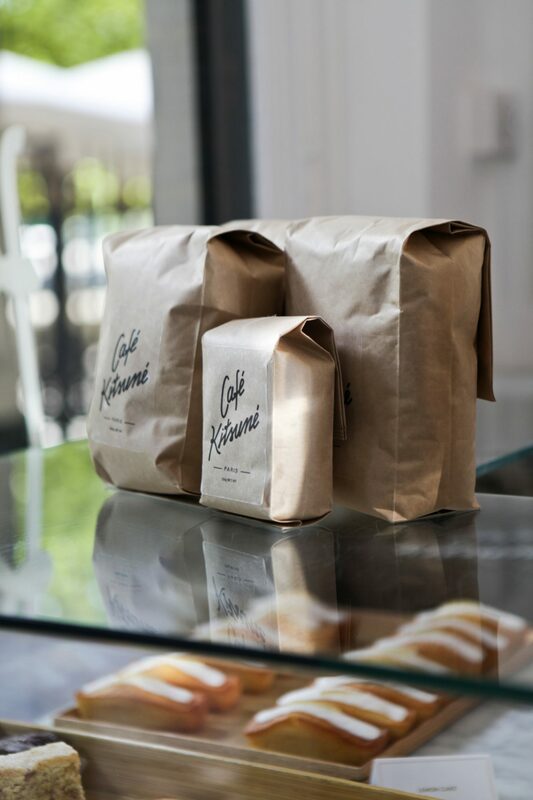 For more information on Café Kitsuné or Maison Kitsuné visit the website here.